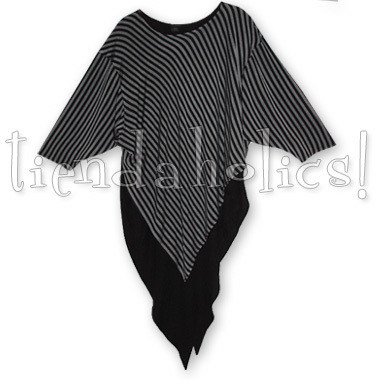 This tunic is simply the wildest! The shape is gypsy magic with its lo-o-o-o-ng pointed asymmetrical hemline... designed by Laise Adzer and made exclusively by Dairi! See more about this scrumptious style, including measurements, on our NAWARI page.